Before now, there really were no rules governing debt settlement companies in Ontario, which meant that they could charge large up-front fees, only to refer the client to a bankruptcy trustee once legal action was taken by a creditor. The process has already started and on January 1st, 2015 the Collection Agency Act was renamed the Collection and Debt Settlement Services Act. Today I sit down with trustee in bankruptcy and co-founder of Hoyes Michalos, Ted Michalos to talk about the new legislation and what it means for consumers. So why is this important? We often hear that clients are afraid to seek help from a trustee in bankruptcy because of the stereotypes and misconceptions about the process. Debt settlement companies feed off this fear by placing ads claiming to be able to settle their debts for pennies on the dollar, while avoiding bankruptcy. Unfortunately, more often than not, these informal debt settlement companies fail, hurting the consumer both emotionally and financially. The new debt settlement legislation attempts to protect consumers from these abuses. We’re not pro or anti debt settlement and in some cases it can be a good option. It is not for us to say that every debt settlement company is not reputable. What we address today is how, and if, the legislation levels the playing field and what other options debtors have to settle and eliminate their debt. Like many Canadian consumers, Fred just couldn’t get ahead of his debts and the collection calls were beginning to pile up. Fred saw an ad that boasted “avoid bankruptcy and reduce your debt by 70%!” So, Fred called the number and they offered him a debt settlement plan. The Plan: Fred owed $50,000 and they were going to settle for $15,000. Payments each month would be $500 for 30 months plus a fee of $3,000 to the settlement company. So in total Fred was expected to pay $500 a month for 36 months. The Catch: Since the debt settlement company wants to be paid up-front Fred’s first six month payments of $500 a month, were actually paying for the company’s fees and not going toward his debt at all. Two months in, Fred received a notice from a creditor that they were taking legal action against him for non-payment. When confronting the debt settlement company, they advised him that he needed to seek legal protection in a consumer proposal or a personal bankruptcy. This after Fred had already paid the debt settlement company $1,000 in fees, for nothing. The Take-Away: The old debt settlement rules (or lack thereof) meant that companies could charge big fees, and in most cases, not really accomplish anything on behalf of the consumer. In fact, the Canadian Bankers Association has said that only about 10% of deals that banks receive from debt settlement companies, are actually accepted. If Fred had gone directly to a trustee in bankruptcy, he could have avoided up-front fees (all first consultations are free), and he would have received immediate legal protection through a stay of proceedings. What’s included in the new debt settlement legislation? No big up-front fees (with the exception of a $50 administrative fee for each account outstanding). Previously, companies could charge thousands in fees (consider Fred’s story) before ever attempting to make a deal with the creditors. Because the debt settlement company can only charge fees as a payment is made, that likely means the deal has been agreed to by the creditors before any payments are made by the debtor. Fees have been capped. The debt settlement company is only entitled to 15% of each payment or alternatively, 10% of the total if you’re settling using a lump sum payment. this is a good first step because it immediately cause[s] a number of people who I think [are] less than reputable, to rethink their whole business model. They [can’t] charge fees up-front so it [is] time for them to get out of the business. Ted also predicts that although it will change the way that they do business, those in the debt settlement industry will morph into other agencies not regulated under this new law, including debt consultants and debt coaches; leading to repeat problems under a different guise. under the Bankruptcy and Insolvency Act, you file a consumer proposal, you get an automatic stay if proceedings, which means no legal actions can continue or be commenced against you until we figure out what’s happening with the proposal. so you’re not out of pocket for somebody that’s hopefully going to make a deal for you. You know the deals in place and you’re protected under the law. On July 1st, 2015 some new laws will take effect in Ontario and these laws are laws you’ve probably never heard of. So, to talk about that I’m joined by my Hoyes Michalos co-founder and business partner, Ted Michalos. Ted, how are you doing today? Ted Michalos: Fine Doug, how’s it going? Doug Hoyes: Great. So, talking about legislation is boring. No one wants to hear you and me start reading sections of the new law. Ted Michalos: Including you and me. Doug Hoyes: That’s right. We don’t want to do that. But this is an important new law and it will impact a lot of the people listening to us today. So, I thought we’d start with a different approach. So, we’re going to do a brand new segment here and I’m calling it Story Time with Ted. Doug Hoyes: Isn’t that a great title? So, over the last 20 years you’ve probably met with I don’t know, 10,000, 20,000 people and I know a lot of those people have gotten burned by the topic we’re going to introduce today. So, I want you to tell me a story about someone you’ve met with. Now I don’t want real names. I don’t want you to tell me what their job was or even what city they lived in cause obviously when we meet with people we don’t want to talk about it on the radio. So, I’m going to make up the guy’s name. The guy’s name is Fred. So, Ted I want you to tell me a story about Fred. Ted Michalos: Well, this is pretty easy because I meet with people like Fred all the time. In fact it’s distressing how often people respond to these debt settlement ads. I’ll give you Fred’s story in a nutshell. So, about four months ago he decided that he was in financial trouble. He just couldn’t make his payments every month and he was worried about the collection letters. He was starting to get behind. So, he saw an ad that said reduce your debt by 70%, avoid bankruptcy. Well, that sounds like a great solution. So, he called the number, met with a fellow, and he said look what we can do is we’re going to put you in a debt settlement plan. You owe $50,000 Fred, we’re going to settle for $15,000 and you’re going to make payments of $500 a month for the next 30 months to deal with it. Well, actually it’s going to be 36 months Fred cause you’ve got to pay us some fees first. And that was the catch. So, the first six months payments of $500 a month were going to the settlement company as a fee. Fred got two months into it and then he got a notice from small claims court, one of his creditors was taking legal action against him. Well, he called the settlement company and they said, well when I signed this deal with you, you told me to refer all these people to you, to forward the collection letters to you, to tell you whenever anybody called and I did all of that and now I’m getting sued. And the debt settlement company simply said well, you know what? You need legal protection now you’ve got to go to see a trustee and do a consumer proposal or possibly file bankruptcy. So, Fred’s out $1,000 for nothing. Doug Hoyes: And Fred actually didn’t do too badly cause we’ve talked to lots of people who’ve been out a lot more than that, $2,000 or more. Ted Michalos: First thing I said to Fred was I guess you’re lucky it wasn’t six months into it. Doug Hoyes: Yeah, cause you would have had to pay even more. So, there you go, there’s our first edition of Story Time with Ted. And obviously the subject of today’s broadcast is debt settlement. It’s something we’ve kind of touched on on a few previous shows but we’ve never done a whole show on it. And we’ve never talked about the new rules that are coming into effect in Ontario. So, I think Ted in the story you just told there were two key components. The first one was big fees, these guys charge a lot of money and the second component was that in a lot of cases nothing actually happens. And I’m going to put a link in the show notes. But the Canadian Bankers Association who should know, these are the guys who represent the people who we’re paying the money to; they said that only about 10% of deals that banks receive from debt settlement companies are actually accepted. So, that doesn’t mean they’re actually paid in full, that means they actually accept the deal up-front. Does that make sense to you? Ted Michalos: Yeah the stat that we were told was less than 3% are ever successfully completed. So, your 10% stat doesn’t surprise me at all, but 3%, that’s three guys out of 100, where the solution actually works. Doug Hoyes: So, debt settlement almost never works, that’s the whole point. So, before we talk about the new legislation what you just described in Fred’s situation sounds a little bit like a consumer proposal. We go to the creditors and make a deal. So, what is the difference between a debt settlement and a consumer proposal? Ted Michalos: Well, a couple of critical elements. The first is the debt settlement companies allowed to charge their fees up front before any work gets done. So, there’s no deal in place you don’t know that the solution’s going to work. And as we just said in the vast majority of cases, the solution doesn’t work there isn’t a deal to be had, you’ve already paid the fee. But more importantly a consumer proposal is a legal procedure. There’s a very specific set of rules and regulations surrounding them and you’re afforded immediate protection under the law. So, Fred got sued two months into the plan that he was trying to do, that can’t happen in a consumer proposal. There’s something called a stay of proceedings that immediately stops legal actions against you. That’s probably the biggest difference. The second is you’re only paying fees when the deal is made and then money is forwarded to the creditors. So, you’re not out of pocket for somebody that’s hopefully going to make a deal for you. You know the deals in place and you’re protected under the law. Doug Hoyes: So, in a consumer proposal, I come into you, I’ve got a bunch of debts, you crunch the numbers and you say okay the proposal we’re going to make is $400 a month for the next four years to your creditors. Doug Hoyes: So, how much do I pay up-front? Ted Michalos: Well, presumably you don’t pay anything up-front. Now it all depends on the local trustee offices you’re dealing with. In our policy we want you to make you first payment in the first month. A lot of trustees charge you an initial payment on day one. Some of them don’t charge anything until 60 days into it. It literally depends on your financial situation and the terms of the deal. But that first payment is going directly towards the settlement. So, if the deal is to pay $400 a month for 48 months, you’re not putting $400 in the trustee’s pocket, you’re putting $400 into the deal. Doug Hoyes: So, I come into you on day one and let’s say I say to you Ted I get paid every two weeks so it would be a lot easier if instead of paying $400 a month I paid $200 every two weeks. Could I do that? Ted Michalos: You can and that’s the smarter way to do it too, because you’re actually making extra payments that way. Doug Hoyes: Okay, so I pay $200 every two weeks. So let’s say my first pay cheque is two weeks from now. So, I can make my first payment in two weeks and every two weeks thereafter $200. Doug Hoyes: So, when do I know that the creditor said yes? Ted Michalos: So, when you file a consumer proposal, the creditors get 45 calendar days to respond to the trustee’s office. So, that means weekends, holidays don’t matter, it’s 45 days from the day you start. They can say yes, they can no or they can counter offer. Once the creditors have made their opinion known, you’ve got another 15 days when you can still change your mind and say you know what, this isn’t the solution I thought it was going to be. That almost never happens but the provision is there in the law. Doug Hoyes: So, worst case scenario I guess I make payments to you for 45 days, maybe one or two or three bi-weekly payments. If the creditor’s say no, I could be out those 45 day payments, but I actually did get some protection during those 45 days though, even if the creditors said no? Ted Michalos: Well, you did and I’m probably giving you the wrong impression here. So, if the creditor’s saying no, they almost always counter offer. So, let’s go back to the example we’ve been using and it’s not a typical example actually, the numbers are a little high. You’ve done a deal; you’re offering $400 a month for 48 months to settle on your debts. The creditors come back and say you know what, we’d like you to pay that $400 a month for 60 months. So, they have counter offered. They said no to the first one and they’ve given you a second one. 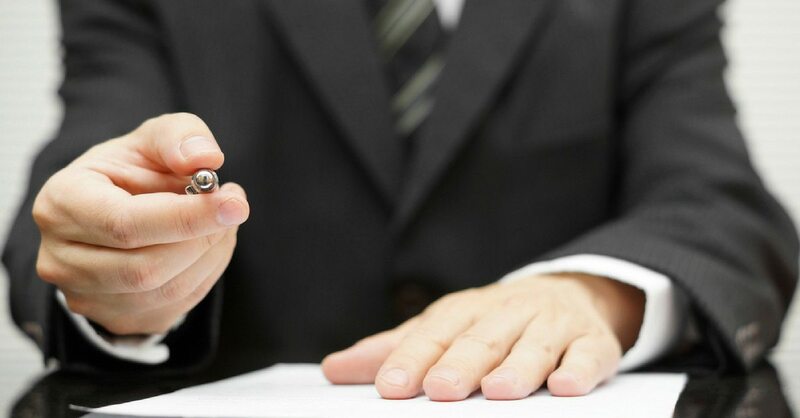 I think the statistic is something – it’s something phenomenal, 99% of all the proposals that we offer in our firm are accepted either as filed or as amended. So, it’s unusual for you not to have a deal. In fact the only cases I can think of where no deal was possible, was because there was something unusual about the circumstances; for instance Fred borrowed $20,000 to buy a pick-up truck from T.D but he didn’t actually buy the pick-up truck. So, TD has some concerns where the money went. But that’s not the norm. Doug Hoyes: Yeah, they’re usually unusual situations like I owed a huge amount of money to Revenue Canada and I didn’t file my taxes or something, well they may be less willing to make a deal. So, in 99% of the cases when someone comes in to file a consumer proposal with us, we will come up with a deal that is acceptable both to you, the person who owes the money, and the people you owe the money to, and your getting legal protection. That’s the big difference between a consumer proposal and debt settlement. Ted Michalos: Yeah and what you’ve got to remember is that 99% is our experience rating; different trustees are going to have different experiences. It depends on how many you do. I mean we really are industry leaders in this particular brand of the business. Doug Hoyes: But no matter what number you’re using and people may be listening and going well I don’t believe that 99% maybe it’s a little less, yeah but we already said that debt settlement according to the Canadian Bankers Association is only accepted 10% of the time. That’s obviously a significant difference. So, okay we’d like to talk a bit about the legislation so here’s what we’re going to do. We’re going to take a quick break and then we’re going to come back and we’re going to go through the specifics of this new legislation and see why it’s different and then I want your opinion on whether it’s actually going to protect consumers or if this is just yet another government boon doggle. We can talk about that when we come back. You’re listening to Debt Free in 30. 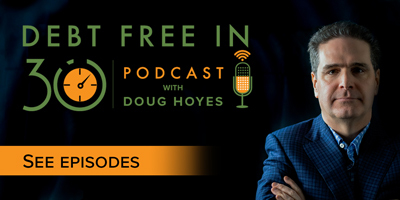 Doug Hoyes: We’re back on Debt Free in 30. My name’s Doug Hoyes, my guest today is Ted Michalos and we are talking about debt settlement and more specifically the new laws that are coming into effect in Ontario. Doug Hoyes: -that this has been in the work, the laws surrounding debt settlement services in Ontario are set to change in an attempt by the government to curb these perceived abuses of the debt settlement industry. So, as of January 1st 2015, so this is already in the past, the Collection Agency’s Act was re-named the Collection and Debt Settlement Services Act. So, what this means it that all collection agents and debt settlement companies are now regulated under the same Act. Kind of bizarre, but that’s the way it is. Now the change we want to talk about today goes into effect on July 1st 2015. So, if you’re listening to this on the radio, this is not very far in the future. If you’re listening to this on our podcast on iTunes or wherever you listen to your podcast, it may have already happened. But it’s July 1st that all of the provisions of this new legislation become law and the most significant change in the new rules is that debt settlement companies’ fees are capped. So, under the old rules there really were no rules. Ted Michalos: That’s right, it was the Wild West. Doug Hoyes: Yeah, charge whatever you want. So, Ted I want you tell me about the new rules. And again I said on the outset we’re not going to start quoting things. If you really want to read it you can go and look up regulation 27 (sub 2, sub 2). Let’s give it to people in layman’s terms. How does it work with the new fee rules for debt settlement? Ted Michalos: Alright, so the first critical change is that the debt settlement companies are no longer allowed to charge up-front fees. I think there’s a $50 fee that they can levee, but that’s it. So, the old model where they could charge you thousands of dollars and do nothing is gone. Instead they are entitled to 15% of the payments received if you’re doing a plan over a period of time. So, let’s say your settlement is to do $300 a month for the next three years. They would be entitled to take 15% of each one of those payments. Alternatively, they’re allowed to take 10% of the debt for lump sum settlements. So, let’s say you owe big bank $20,000 and they negotiated a settlement for you at $10,000, they’re allowed to charge you a fee of 10% of the 20 or $2,000 and that’s it. Ted Michalos: Would be $4,000. Doug Hoyes: Would be 10% of the $40,000, so, $4,000. Okay, so under the new rules there’s no up-front fees, fees can only be charged on payments made to a creditor, which I would assume implies the creditor has to have accepted the deal. And that I guess in the last was really the big problem with debt settlement. Ted Michalos: Yeah. It used to be that they could present a deal to you, the person that owes the money, collect a fee from you and then try and go and make a deal, if they ever actually try and make the deal. Now they have to make the deal. There has to be an agreement in place and money has to change hands. So, the consumer is much better off than they were under then the old system, because there were no rules under the old system, having said that, I’m still not crazy about this. Doug Hoyes: Well, okay let’s get into your opinion here. We’ve talked about the facts so I assume you’re a big supporter of the government. You think governments should do more and more in our lives, they’re really the solution to all of our problems. Doug Hoyes: All governments. I think all governments are fantastic. All the problems in the world are solved by government. So, what do you think the impact of this new law is going to be? Is this going to protect consumers and everything will be wonderful? Like what do you envision in the future? Ted Michalos: The greatest benefit of this new legislation is that it’s probably driven most of these guys out of business. So, the model they had in the past was charge a fee and then maybe we’ll make a deal. They’re not allowed to do that anymore so they can’t charge the fee until the deal’s in place. Well, they don’t really have any experience in making deals and so I’m hopeful that all of these guys will just disappear or at least most of them, any of them that are trying to operate within the law certainly. Doug Hoyes: Yeah and the fact is we sit here in June of 2015 recording this. It’s really already started to happen. Ted Michalos: That’s right. When they announced this legislation a couple of years ago, I mean it drove some of the biggest players out of the market. Doug Hoyes: And a lot of those big players were actually American based. Ted Michalos: That’s right. It’s been a funny industry. The U.S has dealt with all of this; they’re probably seven or eight years ahead of where we are in Canada. So, all of these were set up in the U.S, they got pushed out of most of the States. One-by-one they got knocked down so they came to Canada and one-by-one they began getting knocked out of Canadian provinces. Doug Hoyes: Yeah and I think we should be clear here. We are not either pro or con debt settlement. There are cases where it does make sense. If you’ve got a debt that is reasonably old, but you want to take care of it, if you do have a lump sum, in a consumer proposal we may have to charge X, well it’s possible that that creditor might have accepted slightly less. Now I think we already quoted the stats. Okay, maybe one case of 100 it actually works and we’re certainly not saying that everybody who does this is not reputable. I mean that’s not for us to say. Ted Michalos: I am willing to say I haven’t met one that’s reputable yet. Doug Hoyes: Yeah, we have you on for your opinion. I think we certainly both agree that the big U.S companies that came up here and did this were almost universally despised. I don’t think I can find anyone who would have anything good to say about them. So, your prediction then is that these guys will essentially disappear from the market place? Ted Michalos: Well, they’re not going to advertise as debt settlement companies anymore. So, now they’re going to morph into debt consultants. And this new piece of legislation has nothing to do with debt consulting. So, debt consulting is, I’m going to give you a plan. I’m going to tell you how to get out of debt and I’m going to charge you a consulting fee for that. That’s where I think this is going to go. So, there’s going to be a transition, some of the language is going to change and people are still going to be taken advantage of, just in a different way. Doug Hoyes: So, you’ve got some debts, I can’t as a debt settlement person do a debt settlement anymore cause there’s no way for me to charge an up-front fee without knowing whether the creditors going to accept it or not and in most cases they aren’t accepting them. So, that business avenue is gone. So, now what I can do then is charge you a fee to give you advice. Ted Michalos: That’s exactly right. They’re very – well, as far as I know there’s no legislation regarding consulting in financial matters. Unless you’re selling specific financial products and you’re licensed, so life insurance sales person, real estate agent, RSP or RESP agent, all of those guys have licences. But someone who’s just advocating for debt advice, telling you how to restructure your finances and helping you at your kitchen table, there’s no laws about that. Doug Hoyes: So, I could start up a company giving debt advice and I could charge $100 an hour or $50 a letter to every creditor and there are no regulations whatsoever surrounding that. Doug Hoyes: I can do whatever I want. So, I guess the message then to consumers who are listening is: be very careful when you’re hearing those new ads that will probably start coming up. Ted Michalos: Anytime somebody says something to you that sounds like it’s too good to be true, do your homework, do your research. I mean trustees, we have the same problem. With a consumer proposal we normally settle for somewhere around 30 cents on the dollar. And because of all these other ads that are out there from debt settlement companies and debt consultants, you don’t know who to believe. So, find out are you actually talking to a licensed trustee? Is this company registered with the Better Business Bureau? I mean there are ways because of the internet that you could look into people’s backgrounds and the experience other folks have had with them. Make sure you’re dealing with somebody reputable. Doug Hoyes: And if it sounds too good to be true it probably is. Ted Michalos: It probably is. Doug Hoyes: And so your prediction is we may not see the debt settlement per se advertisements in the future but we’re going to start seeing a different type of advertisement. Here we can help you, we can coach you, we have this program that will write the letters for you. They can’t talk directly to the creditors, so it will be we’ll show you how to do it and we’ll make everything fine. Ted Michalos: Yeah you hit on the magic word. I think we’re going to see a lot of people say debt coaches. Coach, coach, coach, we’re going to help you; we’re going to show you how to do it. We’re not actually going to do it. Doug Hoyes: And again we’re not trashing debt coaches, I mean in fact we’ve had the guy from Debt Coach Canada, Eric Putman, on this show and I’ve certainly never heard any complaints about him. We’ve known him for many years, he’s a reputable guy, but he’s not coaching you on how to make debt settlements, he’s coaching you on how to manage your finances, that’s a totally different thing. Okay, so it will be interesting to see how this all pans out. That’s some very good advice on the new debt settlement rules that come into effect July 1st, 2015 in Ontario. Ted, thanks very much for being here. Doug Hoyes: It’s time for the Let’s Get Started segment here on Debt Free in 30. I’m Doug Hoyes. My guest today is Ted Michalos and we’ve been talking about debt settlement. There are new laws that come into effect July 1st 2015 in Ontario. And Ted, the quick summary of those new laws is what? Ted Michalos: No up-front fees, the settlement company can only charge a fee based on the terms of the agreement. So, they can collect 15% of a monthly payment if you’re doing a period of payments over time or they can collect 10% of the debt as a fee if you’re doing a lump sum settlement. The biggie, they can’t take any money up-front. Doug Hoyes: No up-front fees and this is a big change from the past when any fees, anything goes, it was all good. So, what is your opinion then, and I asked you a bit about this in the show and we kind of got sidetracked, is this a good law? Is this going to help consumers or are there still some underlying flaws that mean this is much ado about nothing? Ted Michalos: So, this is a good first step because it immediately caused a number of people who I think were less than reputable, to rethink their whole business model. They couldn’t charge fees up-front, so it was time for them to get out of the business. I think those folks are going to come back. They’re going to morph into things called debt consultants or perhaps debt coaches; that was an excellent word you came up with. And so we’re going to have a repeat of all the problems we had with debt settlements with these new debt consultants in the next couple of years. So, the government’s going to have to come along and figure out what to do about them. And the underlying problem is that because these folks aren’t licensed and legislated properly, consumers are still going to be taken advantage of. And it’s not because consumers are stupid, it’s because people don’t know what their rights are under the law. So, as a licensed trustee, I’ve got to tell you this is how the law works, this is what I can do for you, this is the protection I can provide. A debt consultant doesn’t have to do any of that so people are still going to fall prey to folks just looking for solutions. Doug Hoyes: If I’ve got a medical problem, if I’ve got a sore tooth and I go to a dentist, I at least know that if you’re a dentist operating in this country there are certain minimum standards that require you to operate. Anybody just can’t call them self a dentist, but anyone can call them self a debt consultant, but anyone can’t call themselves a consumer proposal administrator. Doug Hoyes: You have to be licensed by the Federal government and obviously there’s a significant educational requirement to do that. So, when we compare the two options – a consumer proposal or a debt settlement – we said that a debt settlement in most cases doesn’t actually work. Ted Michalos: Yeah, I mean the success rate is dismal. Doug Hoyes: The success rate is dismal. With a consumer proposal, as soon as the proposal is filed on day one you get protection from your creditors. I assume that’s a huge advantage then as to why a consumer proposal is a better option. Ted Michalos: I mean if the whole reason that you went to the debt settlement guy or the debt consultant guy in the first place was you were afraid of having your wages garnisheed or your bank account frozen, you’re missing payments on your truck or house and you’re afraid of repossession, well a debt consultant can’t provide you with any legal protection. So, under the Bankruptcy and Insolvency Act you file a consumer proposal you get an automatic stay of proceedings, which means no legal actions can continue, or be commenced against you, until we figure out what’s happening with the proposal. Doug Hoyes: I guess as well with a proposal there is – all the creditors know that there is a next step. If they don’t accept the proposal what is likely to be the debtors only other option? Ted Michalos: In the majority of cases if something is rejected then the debtor’s going to turn around and file a personal bankruptcy. I mean the proposal’s designed as an alternative to filing bankruptcy. Doug Hoyes: And that’s why the success rate on consumer proposal is so high; if the creditors know they’re going to get more money in a consumer proposal than they’re going to get in a bankruptcy, and the person who owes the money is filing the consumer proposal because they want to avoid bankruptcy, they want to pay back at least a portion of their debts. So, there’s that inherent leverage there in there, with a debt settlement, well if the debt settlement company says no – or sorry, if the bank says no – well then what? Ted Michalos: Well and you know the vast majority of cases, at least in the past, no deal was put into place. So, the creditors were left hanging, they didn’t even know there was a settlement coming and so they initiated legal options. So, they started a law suit, they wanted to garnishee wages. Well, so now the settlement can’t work anyway so the consumers were forced either into a proposal or often times bankruptcy cause they were just so scared of what had happened to them. Doug Hoyes: And at least with a legislated solution like a consumer proposal or a bankruptcy, everyone knows the steps, everyone knows what’s required. In a consumer proposal how quickly are the creditors notified that a proposal’s been filed? Ted Michalos: So, they’re required to receive notice within five business days. So, weekends don’t count on this. But, the majority of the trustees in Canada now are using electronic systems so the creditors get notified much more quickly. A couple of days. Doug Hoyes: So, literally if you’re filing your proposal on a Monday but Tuesday it’s probably in their hands, they know right away, which was a big difference with debt settlement in the past. Ted Michalos: Well and it’s mute because the legal protection starts as soon as you sign, not when the creditors receive the notice. So, when you’re looking for protection, you’re afraid of a wage garnishee or a law suit, the proposal starts as soon as you sign the documents. Doug Hoyes: And that’s really the whole key to it. So, then your advice then in our last 20 seconds is, given a choice, the proposal is going to be the better option in virtually in every case. Ted Michalos: It is. I want you to look into all your options but quite frankly I’d be surprised if you pick something different. Because the laws are designed to protect you and to provide – there’s a distinct advantage to a proposal over just about any other solution. Doug Hoyes: Legal protection and it’s a better deal, it’s as simple as that. Great, thanks very much for being here Ted. That was the Let’s Get Started segment here on Debt Free in 30. Ted Michalos: You’re listening to Debt Free in 30. Here’s your host Doug Hoyes. Doug Hoyes: Welcome back, it’s time for the 30 second recap of what we discussed today. On today’s show Ted Michalos explained that under new laws that take effect in Ontario on July 1st, 2015, debt settlement companies will be prevented from charging up-front fees and their fees will be capped, which is designed to help consumers. That’s the 30 second recap of what we discussed today. So, what’s my take on the new rules? As, you’ve probably guessed from our comments on the show, I’m not a big believer in government being the solution to all of our problems. Well, it’s true that that the new rules will drastically alter or eliminate the old debt settlement company model, there are a lot of people with debt and it’s too big a market to ignore. So, I agree with Ted’s prediction, it’s likely that some new industry will spring up to try and separate consumers from their money. Don’t be fooled, there are no quick fixes. You can’t just pay some telemarketer a bunch of money to make your debts go away. You either need to cut your expenses and work through it on your own or if your debts are too big to handle, you need to get help from a competent experienced licensed professional. That’s our show for today. Full show notes are available on our website including details on why a consumer proposal is almost always a vastly better solution than a debt settlement plan. So, please go to our website at hoyes.com, that’s h-o-y-e-s-dot-com, for more information.